Ok, all but three posts on the last page (pg 45) were off topic. Remember people, this is a place for SpaceEngineer to post updates and for everyone to comment on his posts. Don't discuss anything else here - that includes not asking for progress updates or release dates. Any further off-topic posts will be deleted without warning. Stay on topic from now on. Ohhhh yeaaaah! One of my most sought-after features. These don't spawn around all black holes, of course? 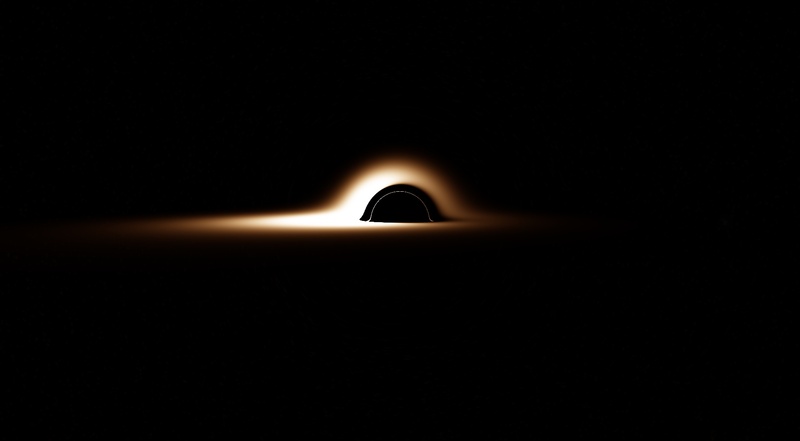 Also, what is than thin(but bright) line in the black hole lens itself? Does this mean new exposure control algorithm? If yes, then ERMAGHERD it's gonna be so amazing, making real HDR from bracketed shots ! Does this mean new exposure control algorithm? 0.972 will have new exposure algorithm, but, as many features, unfinished and very beta. Why would it mean that? The current exposure system could take those shots. 2) They're not related to comet tails and aurorae, they should not have any impact on performance. 3) Yes, I'm pretty sure SpaceEngineer said somewhere that you can disable them and use the current system. Is this giving accurate treatment of Doppler/relativistic effects? Seems like it is with the asymmetry of disk's brightness. Ooh. In cases where there's an accretion disk, might there be some asteroids and comets in relatively close orbits around the black hole too? I've long hunted for black holes with objects close enough to them that I could get a nice vista with the black hole visible in the sky, but the procedural generation algorithms only ever seem to put one or two ice worlds a hundred AU out. I know the violence of a black hole's formation process would destroy any existing solar system, but we know that some neutron stars have planet-like bodies orbiting them in real life so there must be some mechanism for them to be captured or formed afterward. To connect with some of your other in-progress work, I bet planets close to pulsars would have phosphorescent glow from the high energy radiation. In cases where there's an accretion disk, might there be some asteroids and comets in relatively close orbits around the black hole too? Tidal forces would be a big problem for stellar mass black holes -- comets and asteroids would be utterly torn apart if they got too close. Also, the accretion disks are very hot and put out a lot of radiation. The environment near black holes and especially smaller or actively accreting black holes is probably not very hospitable to such objects. I don't mean having planets or asteroids right in the accretion disk, of course. Accretion disks are made of gas and dust for a reason. But black hole gravitation is no different from any other mass' gravitation when you're not near the event horizon. If an asteroid can survive orbiting a star at a few million kilometers orbital radius without being tidally disrupted then it can survive orbiting a black hole with the same mass at the same orbital radius. Ah, yes, I should have recognized what you were asking and meant by 'relatively close'. Sorry. Yeah, you could have stuff orbiting close enough such that the hole is an impressive presence in the sky. 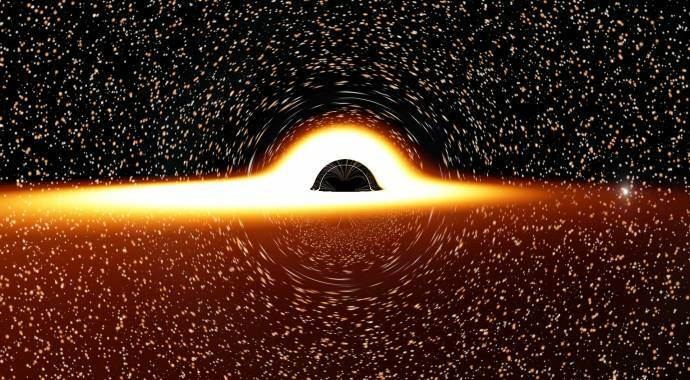 The formation process of a black hole would indeed destroy anything that was there in the first place, but capture processes might be possible.